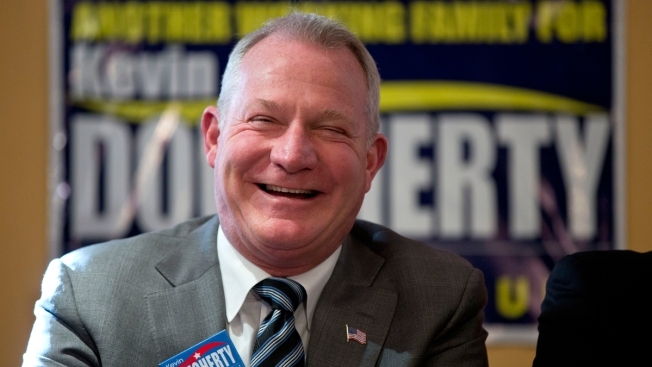 Democrats celebrated a clean sweep of three open seats on the Pennsylvania Supreme Court as the party locked in a majority on the state's highest court for at least a decade that could help shape the legislative redistricting that will follow the 2020 census. 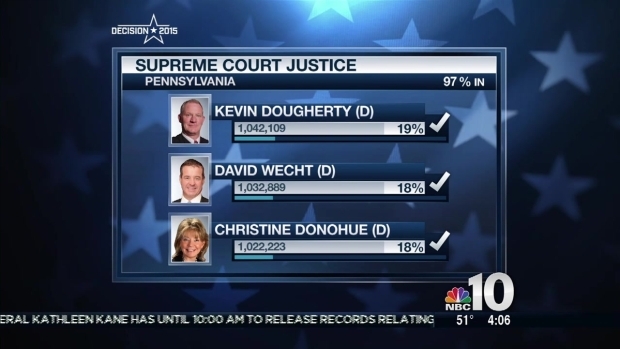 Kevin Dougherty, David Wecht and Christine Donohue won the three open Pennsylvania Supreme Court seats in Tuesday's election. Wecht, reached by telephone at a noisy Pittsburgh restaurant, said that he felt his focus on ethical issues made the difference in the campaign. He said he hoped the high court has put its own trials and tribulations behind it. On the high court, two seats open because of the resignations of disgraced former justices: in 2013, a Republican convicted of using her taxpayer-paid staff to do political work and, in 2014, a Democrat implicated in a pornographic emails scandal. The other seat became vacant when former Chief Justice Ronald Castille was forced to step down last year after reaching the mandatory retirement age of 70. Earl Sweigard, 81, said he was motivated by his views on gun control and taxes to vote the straight party line ticket for Republicans.